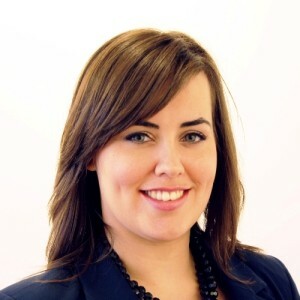 Last night, we organized the 13th Inbound Marketing Toronto meetup, titled Develop the Marketing Leader within You! We were honoured to have Trina Boos present and answer a wealth of question about career planning and how to develop the marketing leader within you. 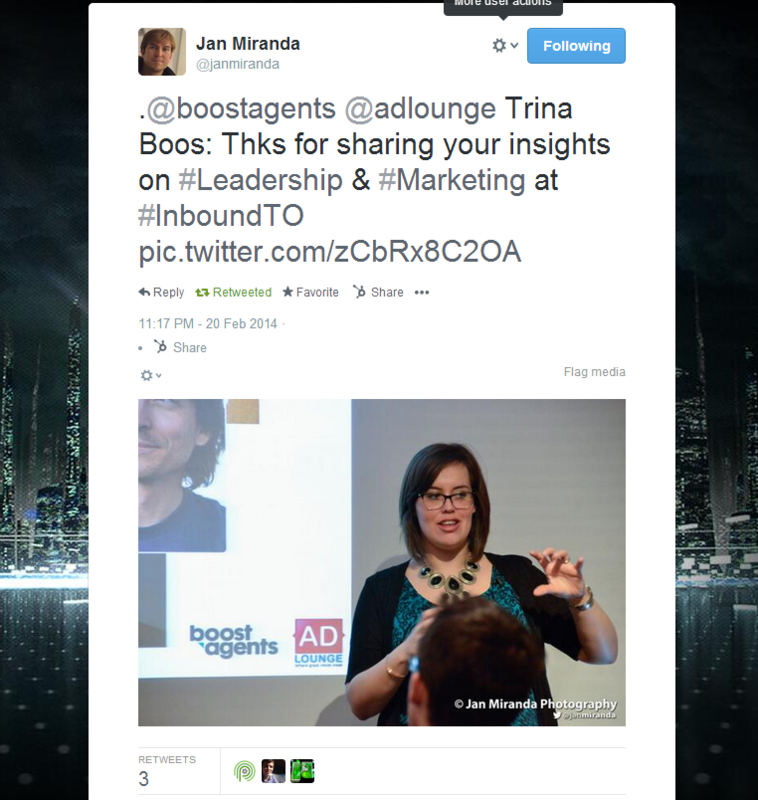 Trina Boos is the President of Boost Agents and Ad Lounge. Boost Agents is a specialist recruitment provider to the Creative, Digital, Marketing, PR/Communications and Events industries. Ad Lounge creates unexpected events that surprise, and that help marketers and agencies stay head of the curve, stay connected, and make us remember why we love the industry that we play in. Sponsored by Powered by Search and hosted by BNOTIONS, the event was highly engaging and received much positive feedback from the 40 marketing professionals in attendance. 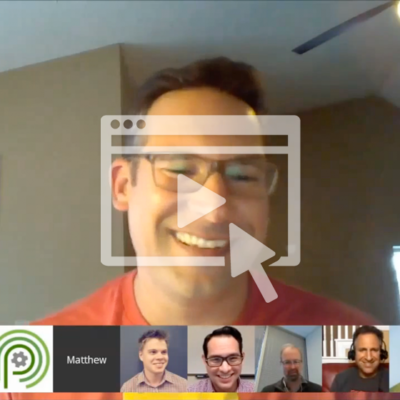 Below is Trina’s The Leader in You presentation, which was video recorded by Adam Ravesz from One Inch Punch Pro. Thanks, Adam! Join the Inbound Marketing Toronto meetup group and confirm your attendance for the BIG Brands. BIG Time SEO Results. panel discussion on March 20. Kareem Bonner (Enterprise Online Business Manager at Dell Canada), Brent Chaters (Senior Manager Consumer Marketing at Intuit) and Dev Basu (CEO of Powered by Search) will take part in the panel discussion that I’m moderating. See you then! If you missed our InboundTO, don’t miss out on our Free 25 minute Marketing Assessment with us TODAY. 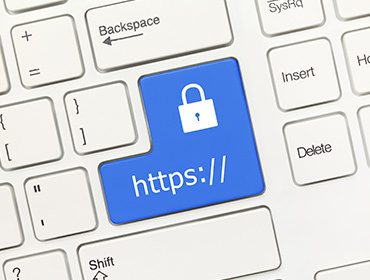 Don’t lose all your Chrome traffic because you didn’t migrate your website from HTTP to HTTPs!